It’s that time of year again, when all the top brands within the outdoor industry put forward their best and most innovative products to be judged by experienced outdoor enthusiasts. Once again, several of our products came out on top and we continue to win some of the best awards out there. 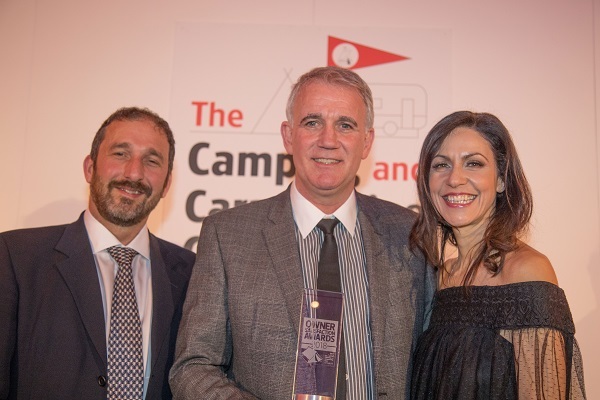 First up was the Owner’s Satisfaction Awards held by the Camping and Caravan Club in Manchester, where we scooped up two prestigious awards. For the second year in a row, we won the award for ‘Best Backpacking Tents’ and were also named as the ‘Best Mainstream Brand’. These rewards were the result of surveying 5,000 people about their thoughts and opinions on camping and vehicle units throughout 2017 – so we couldn’t be prouder to have accepted these awards. Next on the agenda was the Camping Magazine Awards, and once again we aimed high and we succeeded. This year our brand-new Serenity Air won ‘Best Inflatable Tent’ and its no wonder due to its flexibility, spacious layout and innovative features which include; a rear storage area and door, double doors on one side, and our new SkyTrack® II system. It’s everything you could want in a tent and more. 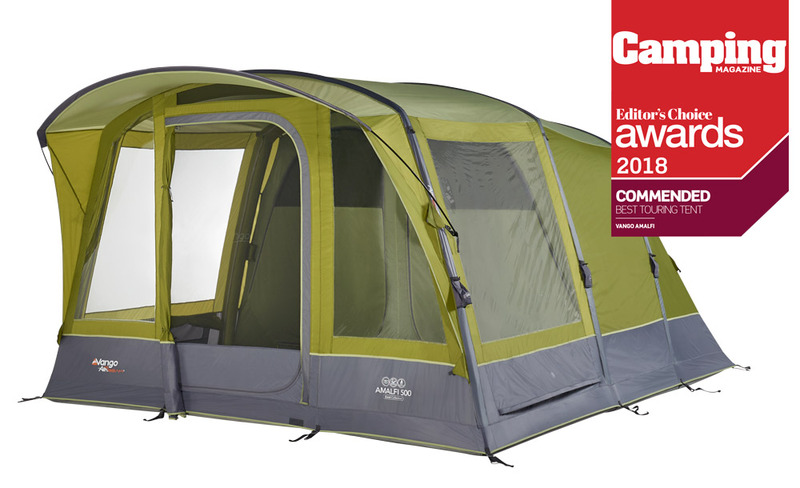 The awards didn’t stop there, as two more of our tents also did exceptionally well in the Camping Magazines Awards. 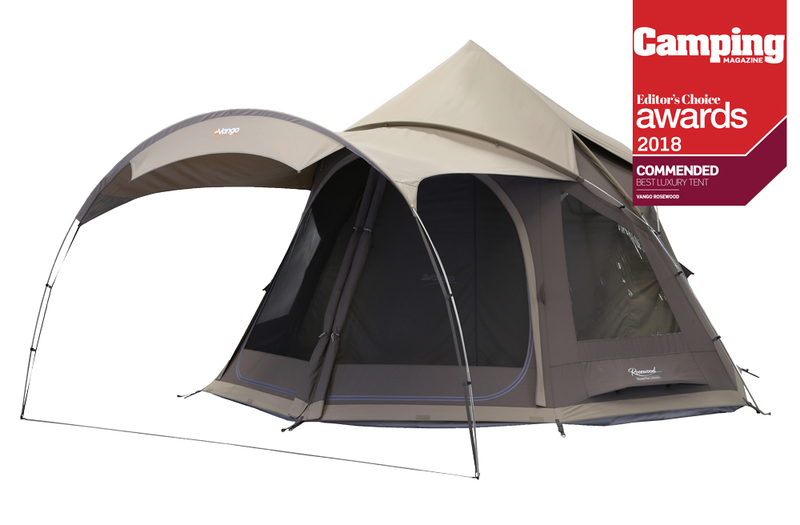 Our Amalfi, available in 500 and 600, was commended in the ‘Best Touring Tent’ category thanks to its contemporary design and quick pitching aspect, making it a great weekend tent. Then there’s the Rosewood, our boutique glamping Tipi-style tent which was commended in the ‘Luxury Tent’ category. With NO central pole, the internal space isn’t restricted, so you can adapt the layout in a way that best suits you. We are over the moon to have been given all these awards so far, and with more opportunities to win coming up in the next couple of months, we are keeping our fingers crossed. Have your say in the Outdoor Industry Awards 2018 and vote for Vango. Our Santo and Serenity are in the mix to be crowned winners in the Tent category and the Family category. Voting closes on the 28th of February.